The Woollham Trust Playing Fields is the largest development of its kind ever undertaken in a single phase in Europe. The school’s outstanding facilities include a huge pavilion, 22 winter pitches for rugby and football, an all-weather hockey pitch and 8 cricket squares. Not only is the magnificent 73 acre site shared with the Old Albanians Club, it is also the training base for Saracens Rugby Club. The school’s cricket department is headed by former Essex CCC cricketer Mark Ilot. 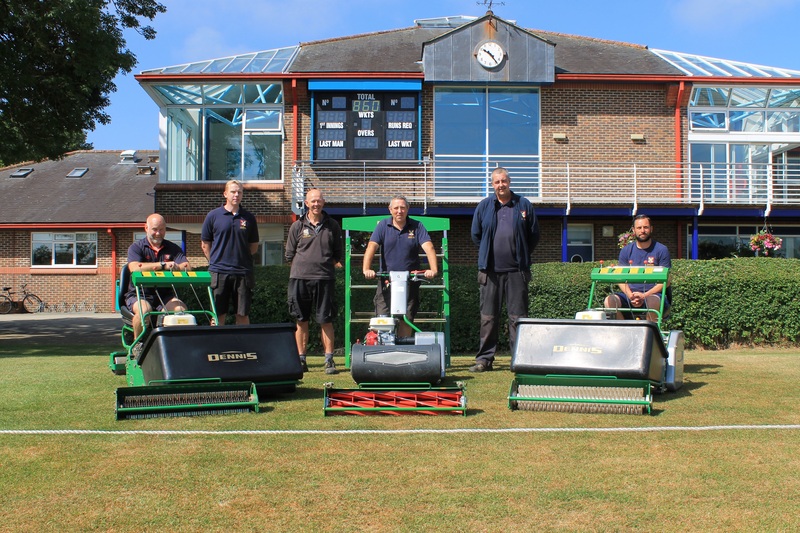 In preparing the cricket pitches, Ian first of all uses the Dennis G860, with an interchangeable cassette system, users have the option of fitting different types of cassettes including scarifiers, verticutters, brushes, spikers, and slitters. “The reason we purchased the G860 was because of its versatility and the fact that you can have all of the different cassettes for different maintenance needs,” said Ian. “We can use it for cutting the squares, cutting the outfields, but then we can also use it to scarify. For pre-season we have a cassette which has 1mm scarifying blades so we will use that at the start of the season to thin the square a little bit. We’ve also got the new spring tine rake cassette which we also use for cricket pitch preparation. The Razor features a 560mm (22in), 11 blade cutting cylinder for a perfect finish. An ultra-short wheelbase ensures easy manoeuvrability and excellent performance, even on undulating surfaces. The Dennis Razor encompasses the simple ‘no tools required’ click height adjusters for quick and easy operation, a feature which Ian is particularly fond of. 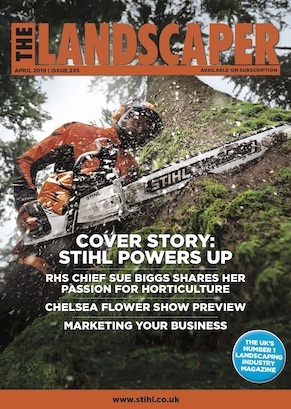 “The Razor is great because we are starting on turf that has been cut down to 12mm by the G860. With the click system of the Razor, it is very simple to change the height. Instead of having to go out with two separate mowers set at two different heights, like we were previously doing, you just use the one mower. “In a matter of seconds we can go down from 12mm to 10mm and then you give it a couple of clicks and then you are down to 8mm and then a couple more clicks and you are down to 6mm, it’s as easy as that. No tools are required and any of the staff can use it without any problems whatsoever.